VII.11.6 Pompeii. 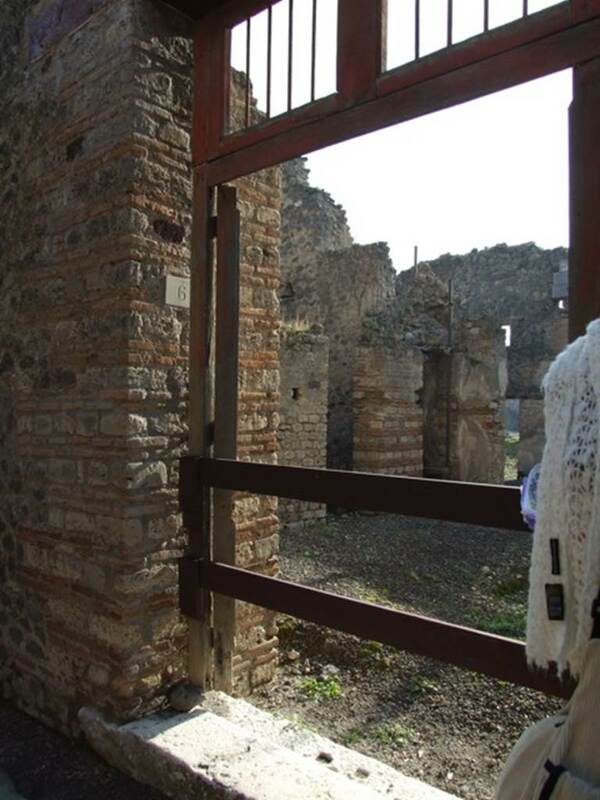 Hospitium. Linked to VII.11.7 and VII.11.8. VII.11.6 Pompeii. December 2005. Entrance doorway. 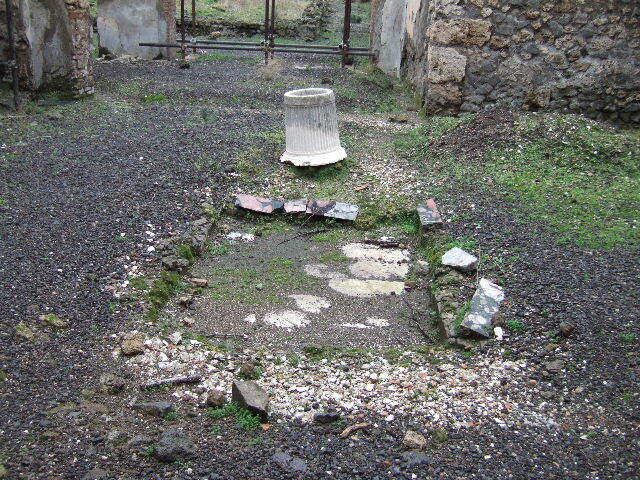 VII.11.6 Pompeii. December 2007. Looking south-east from entrance doorway. 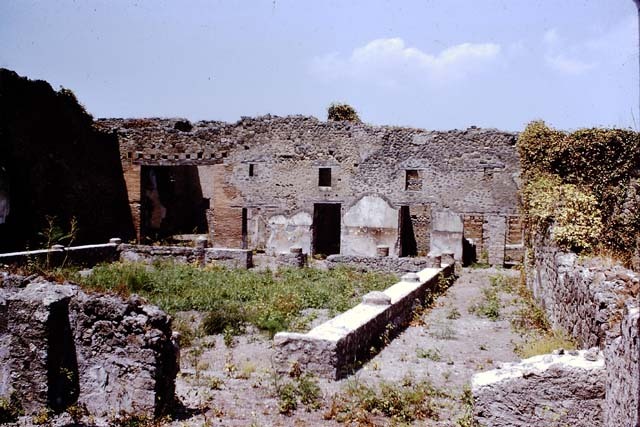 VII.11.6 Pompeii. December 2007. Looking south across atrium. 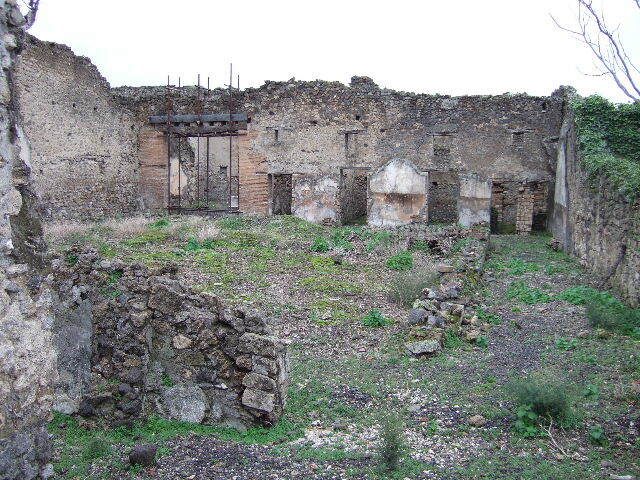 VII.11.6 Pompeii. December 2007. 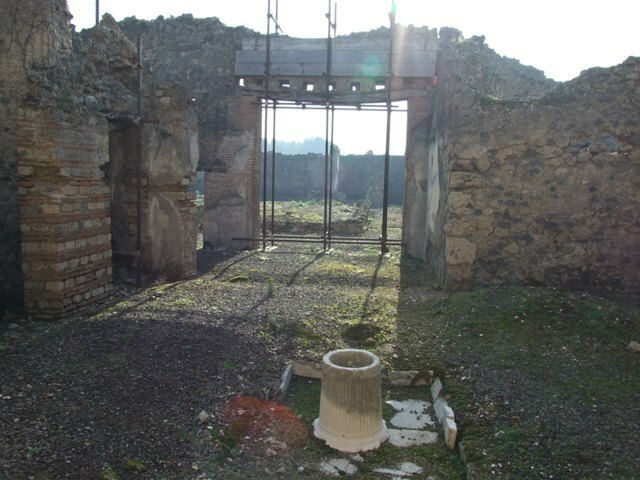 Marble impluvium in atrium. VII.11.6 Pompeii. December 2005. Impluvium in atrium. 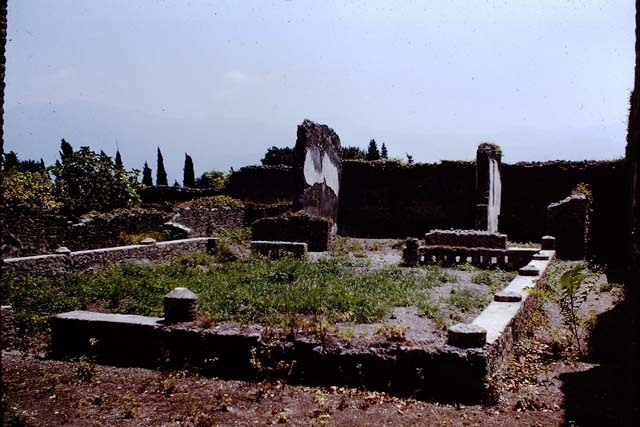 VII.11.6 Pompeii. December 2005. Looking south from atrium into tablinum. VII.11.6 Pompeii. 1966. Looking south from atrium across tablinum to garden area. Photo by Stanley A. Jashemski. 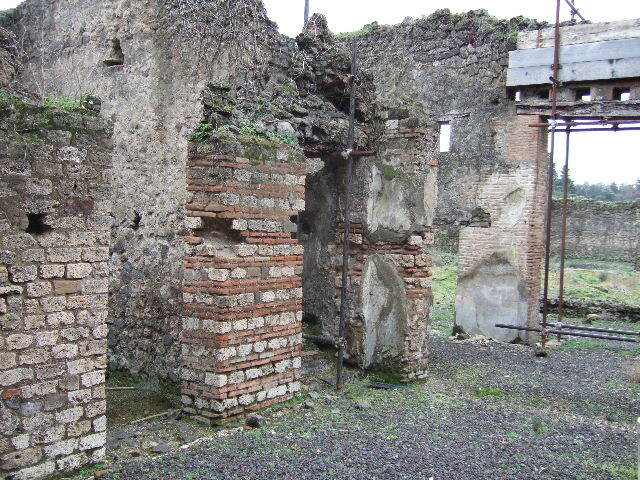 VII.11.6 Pompeii. December 2005. Rooms on east side of atrium. VII.11.6 Pompeii. December 2005. Looking south-east towards doorways to rooms on east side of atrium. VII.11.6 Pompeii. December 2005. Stairs to upper floor on east side of atrium. VII.11.6 Pompeii. December 2005. 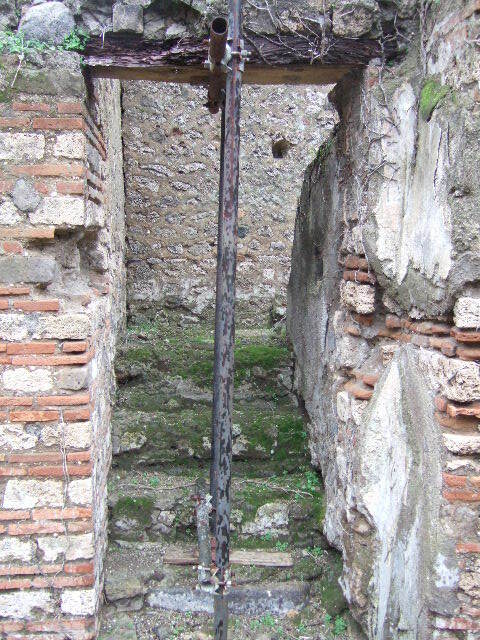 Remains above stairs to upper floor on east side of atrium. VII.11.6 Pompeii. December 2005. 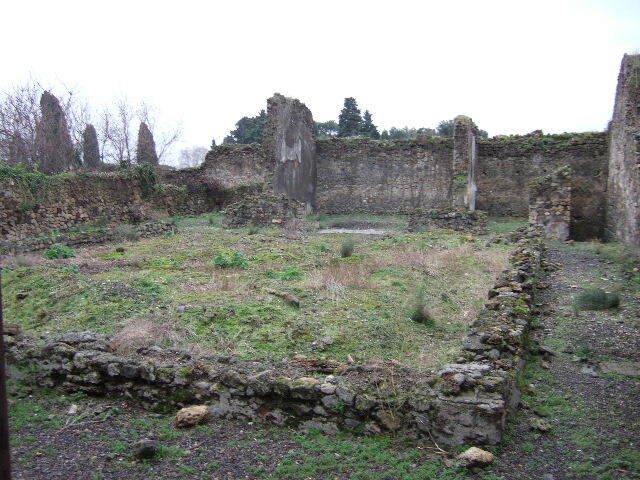 Garden area looking south towards exedra in centre of south wall. According to Helbig, found in the middle room behind the peristyle was a painting of Orestes and Pylades at Tauris. 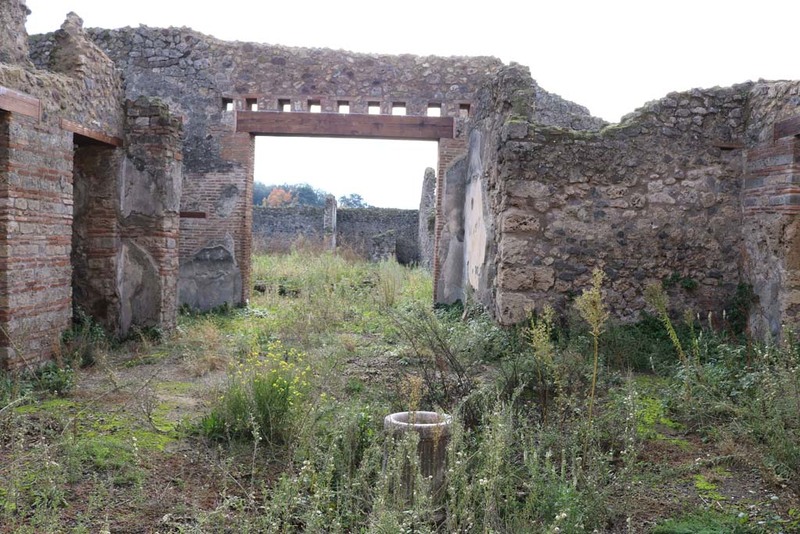 According to Jashemski, this once fine house, converted into a hospitium after the earthquake, at one time had a large peristyle garden. It had a portico on all four sides. 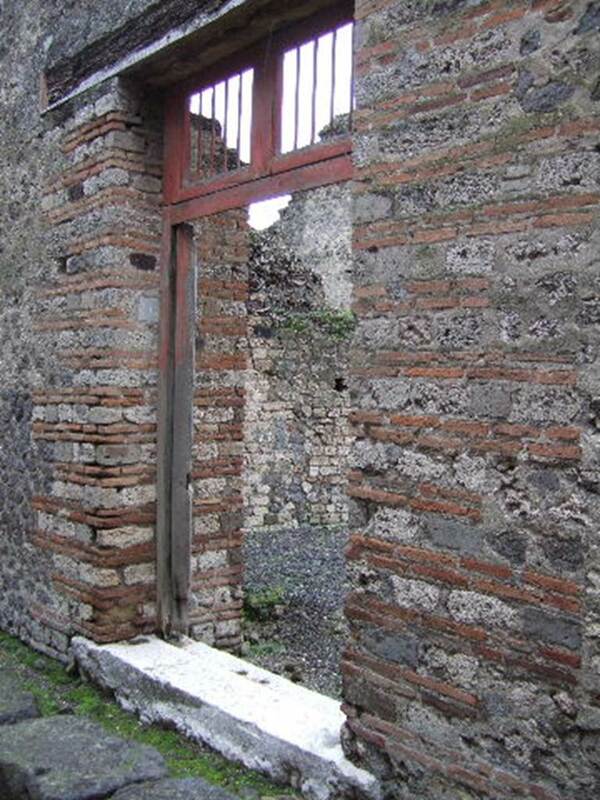 The columns were joined by a low wall which enclosed the garden, leaving one entrance to the garden on the north, and two on the south. 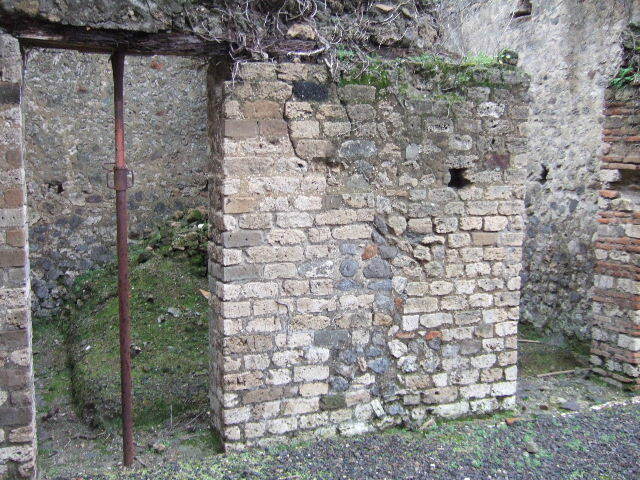 A cistern opening was enclosed in the low wall on the north. 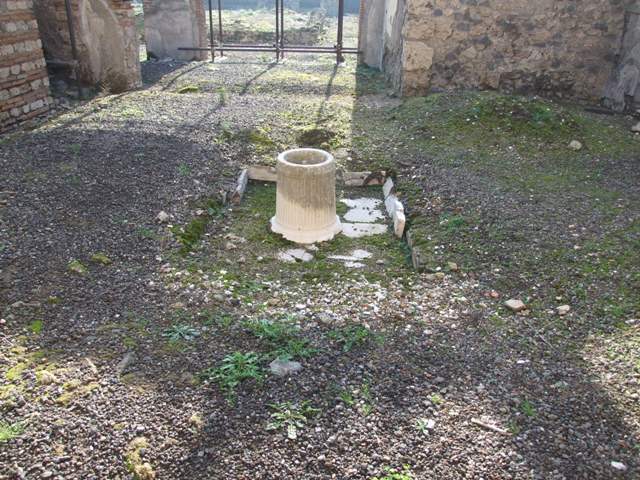 Only a few stumps of the columns are preserved. 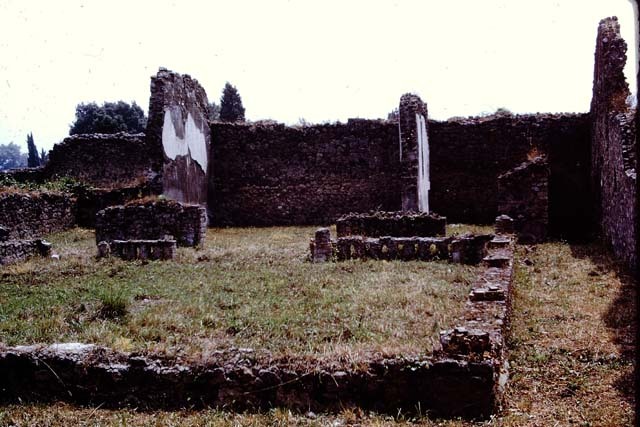 VII.11.6 Pompeii. 1966. 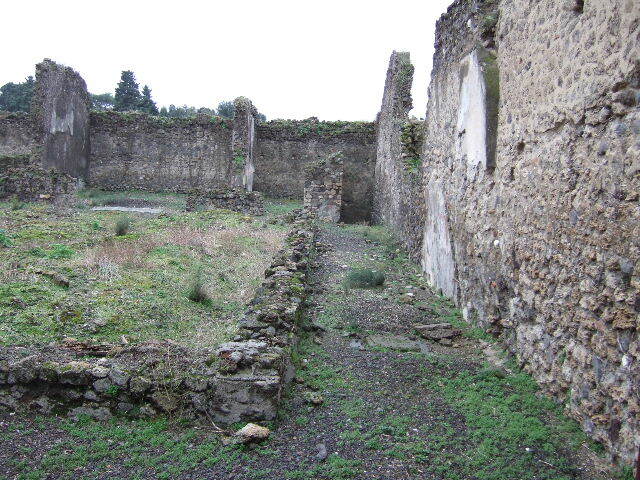 Garden area looking south towards exedra in centre of south wall. Photo by Stanley A. Jashemski. 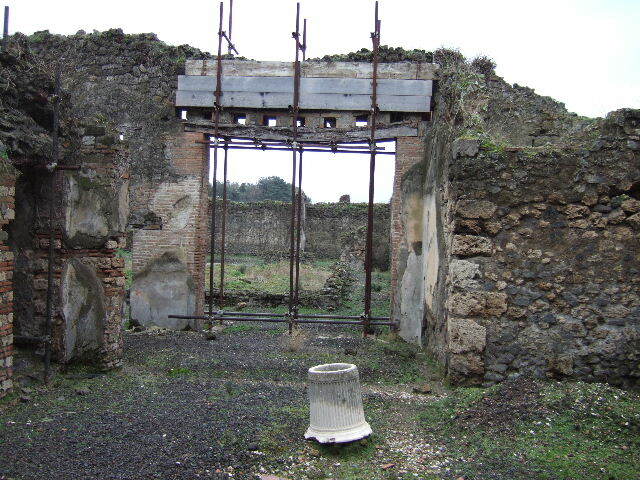 VII.11.6 Pompeii. December 2005. Garden area looking south along west wall towards corridor. 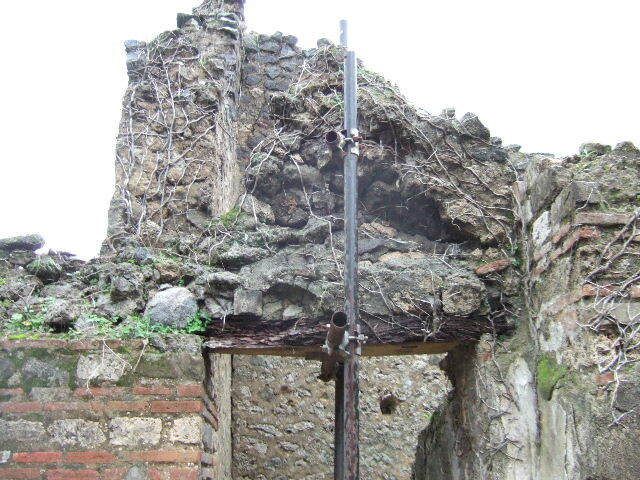 VII.11.6 Pompeii. December 2005. 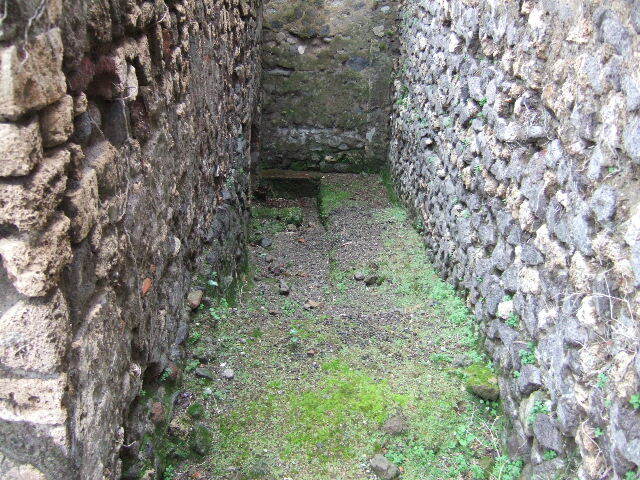 Corridor, which led to an underground cellar. VII.11.6 Pompeii. December 2005. 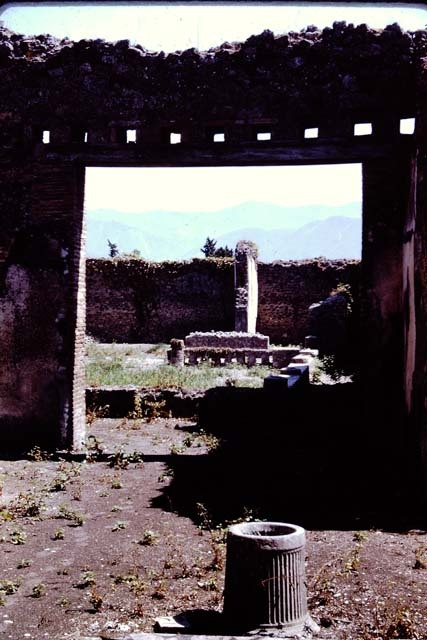 Garden area looking south-west towards exedra and oecus. VII.11.6 Pompeii. December 2005. 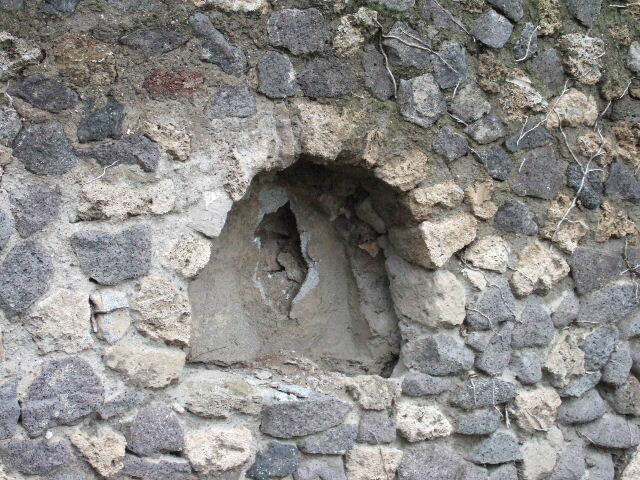 Niche in west wall. VII.11.6 Pompeii. December 2005. 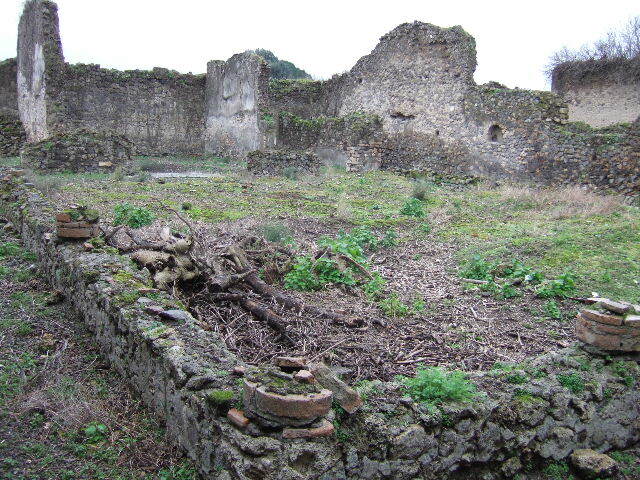 Garden area looking north towards rear rooms of hospitium. VII.11.6 Pompeii. 1966. Garden area looking north towards rear rooms of hospitium from east side. Photo by Stanley A. Jashemski. VII.11.6 Pompeii. 1966. Garden area looking north towards rear rooms of hospitium from west side. Photo by Stanley A. Jashemski. 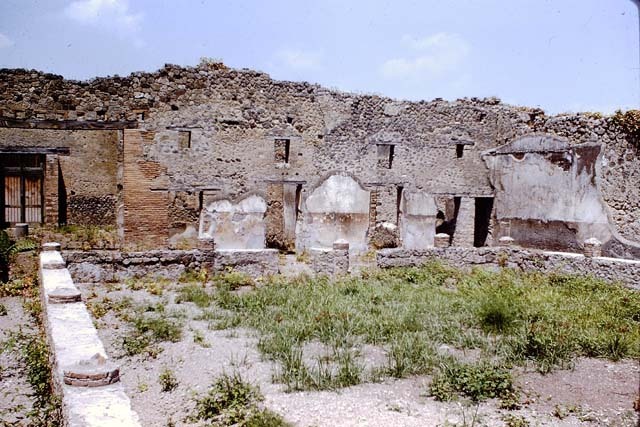 VII.11.6 Pompeii. December 2005. Doorways of rooms in north-east corner of garden area.